Well this recipe totally fits that bill. The inspiration came from Marla Sarris, who guest posted about Paleo breakfasts over at The Mogul Mom. This recipe is a variation on that theme. These were a HUGE hit in my house. Plus the ingredient list isn’t complicated. You can use cocoa powder if you don’t have raw cacao. (And the cacao provides a nice shot of antioxidants.) And you can omit the liquid stevia all together. You can make them with almond butter, peanut butter, or any nut butter of your choice. 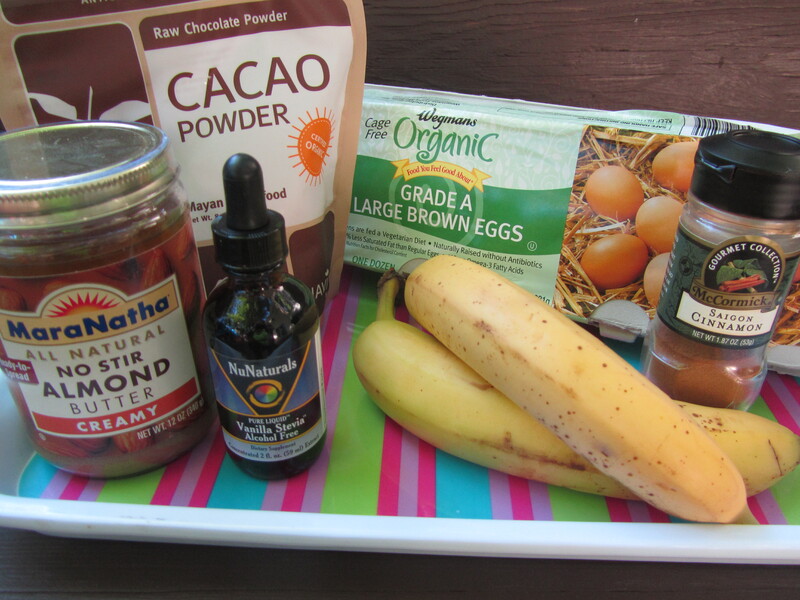 In a blender, combine bananas, nut butter, eggs, cacao powder, cinnamon, and stevia until well mixed. Heat a little coconut oil or butter in a large pan over medium heat. Pour batter on heated pan. I made silver dollar sized pancakes, but you can make them larger as you prefer. These cook quickly so as soon as the edges seem cooked, flip and cook a minute longer. Remove from heat and serve. If you use the stevia, they are sweet enough on their own, and you can just serve with fruit. Next time we make these, I’m going to try them with pumpkin instead of bananas, omit the cacao, and use pumpkin pie spice. I’ll let you know how they turn out. 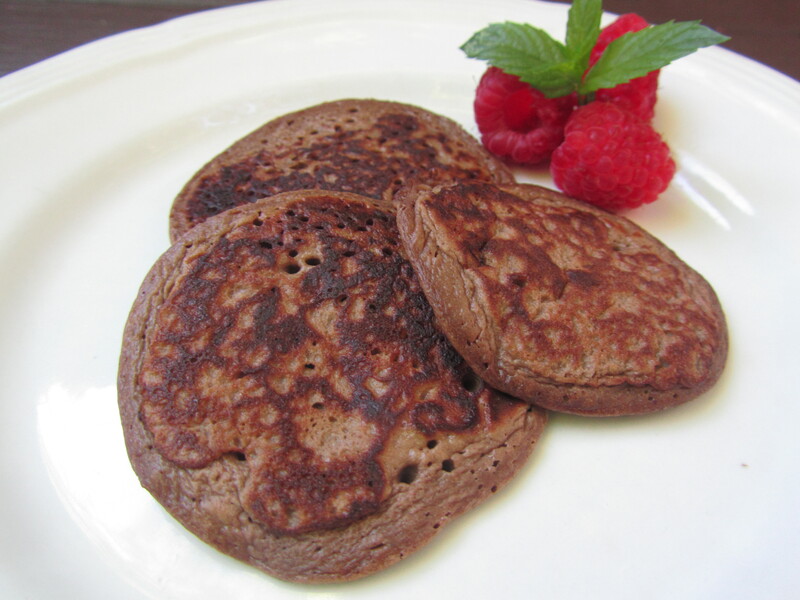 This entry was posted in breakfast, Gluten Free, Paleo, Refined Sugar Free and tagged banana nut pancakes, Breakfast, cacao banana nut pancakes, chocolate banana nut pancakes, gluten free pancakes, high protein breakfast, kids breakfast, Paleo, paleo pancakes, pancakes. Bookmark the permalink. Thanks for this great recipe. My husband and I are empty nesters now and new and exciting recipes are what we are looking for. You’ll have to let me know how you like them Natalie! No coconut flour or almond flour? Nope! No flour at all in these pancakes. So glad I could inspire you with my recipe! The pancakes look delicious!! 🙂 I’ll have to try the chocolate variety. Thanks for the inspiration Marla!